The African themed installation dinner was held at Maria’s by the Sea in Road Town on Sunday July 2, 2017. The legendary baton was passed from outgoing President, Honourable Ingrid A. Moses-Scatliffe, Speaker of the House of Assembly, to Mrs Karia J. Christopher, Department of Trade, Investment Promotion and Consumer Affairs. Cheers and laughter filled the courtyard of Maria’s by the Sea as the evening kicked off with a cocktail reception, where persons gave their early congratulations to the new President, Karia J. Christopher and her Board of Directors. Past Assistant Governor, Gerald St. C. Farara, QC and Acting Governor Elvis J. Harrigan administered the Oath of Office and installed Karia J. Christopher along with her incoming Board of Directors: President Elect, Lynette L. Harrigan; Vice President, Michael Khillory; Immediate Past President, Hon Ingrid A. Moses-Scatliffe; Secretary, Ixora Rose-Wong-Williams; Treasurer, Ian Smith; Sargent of Arms, Edson Boyea and Directors: Merrick Watson, Sasha S. Creque, Kishma Penn, Aisha Liburd, Milton Creque and Kevin Fahie. Other members to be installed are Treasurer Elect, Astrid Winske and Bernadette Brathwaite, Secretary Elect. 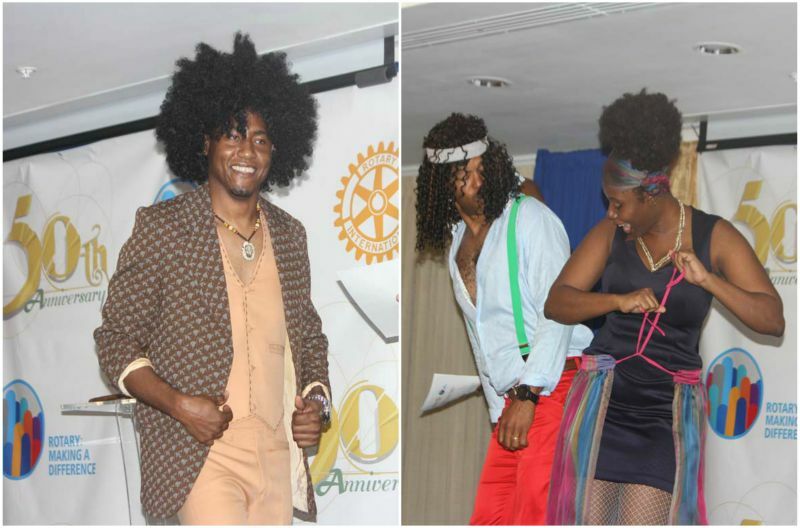 Prior to unveiling the new agenda for the upcoming year, the president and her board of directors paid tribute to some of the past presidents by entertaining the audience with a fashion show which demonstrated how they (past presidents) dressed in their time of presidency. Messrs Romeo Cameron, Reynell Fraser and Kermet Frett were the recipients of the Paul Harris Fellow Award for their dedication towards improving the lives of others in the community. This award is the highest honour the club can bestow upon any person. The energetic Percy Rhoden; 2008-2009 Past President and the dynamic Julien N. Johnson; 2015-2016 Past President were the masters of ceremony for the evening. The remarks by the incoming President, Karia J. Christopher were the momentous highlight of the evening. Mrs Christopher pointed out that the club has made significant strides by allowing likeminded persons to come together and impact the Territory in a positive way. 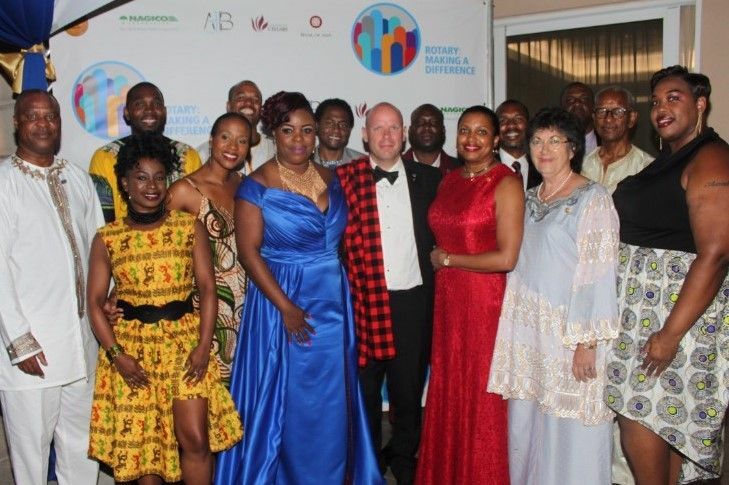 She also thanked the outgoing president and congratulated her board of directors for accepting the challenge in standing with her to make a difference within the community. “One of my goal while as president, is to ensure that persons all around the community understand and accept that this club is a group of ordinary people doing extra ordinary things for the community at large without any expectation or praises,” said President Christopher. Among those who graced the ceremony with their presence were Premier and Minister of Finance Dr The Honourable D. Orlando Smith (AL), and Junior Minister for Tourism Honourable Archibald C. Christian (AL), who are also serving members of the club. Right person for the job! In her toast to the new board, First Lady and Past President, Lorna G. Smith OBE commented that the new President and her board of directors are very qualified to lead the Rotary Club of Tortola. “We are especially comfortable that the board is led by Karia J. Christopher, who is an overachiever and a trail blazer. There was no one more qualified and competent to lead the Rotary Club of Tortola in its fiftieth year of service to humanity. 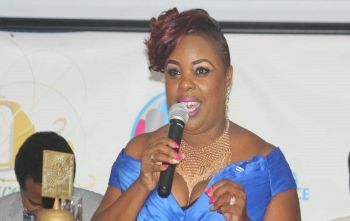 Meanwhile, Ms Bernadette Brathwaite was awarded Rotarian of the Year at the event. Its only now they going walk on people! It seems a strong-armed way to approach this just tell the young lady congratulations and move on! Awesome job Rotary Club of Tortola. An excellent evening. This was an event like no other. You had to be there to appreciate the beautiful outfits and excellent program. Congrats President Karia. Looking at the comments it's so amazing. We come on here blogging when an expat gets something, asking what about our locals acting as if we give a sh*t. When our local people finally make it in anything there's always a set of hatred and foolishness. Closely watching this New Prez....aiming to make us very proud. Once wanted to join that club , now it looks like a government office party . Not me again. Ouch ! From the look of the members pictures, I will NOT be joining . No one was going to recommend you as a Member; how about that. You don't have the principles of Rotary anyway. Boo!! I agree, I DON'T have the principles of the MEMBERS on the picture.. I have BETTER ones ! I just removed " join the Rotary Club " from my bucket list . Alll politics and who kissing babies. The same set of people sinking their own and talking service above self. Rotary in the BVI meant something 20 years ago, now its just a popularity contest. Work permit holders now in tight competition with Citizens because who they are affiliated with.